Bandai Namco Entertainment has confirmed Taiko no Tatsujin: Drum ‘n’ Fun is a digital-only release when it comes to the west on November 2. This information was confirmed and reported by Gematsu. While this certainly makes sense in Europe, it stands on shaky ground in North America as Bandai Namco Entertainment themselves distributed to the press box art for a North American physical release. We’ve reached out to Bandai Namco for further clarification and will update this story when we hear back. 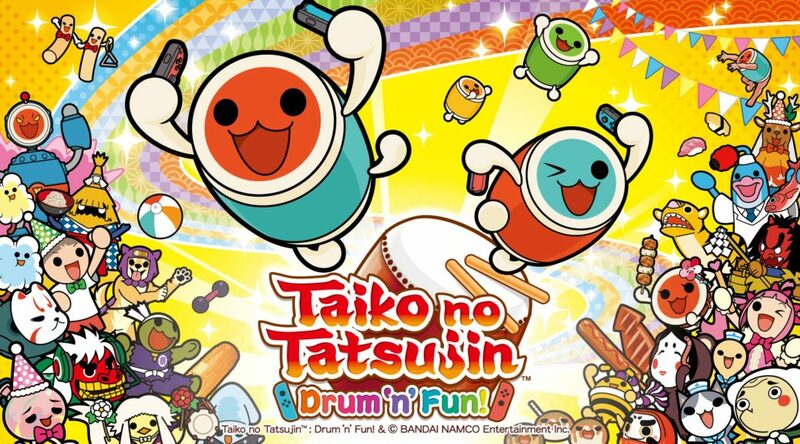 In the mean time, Taiko no Tatsujin Drum ‘n’ Fun (also known as Nintendo Switch Version in Japan) is now available for import at Amazon Japan. It’ll be playable in English from August 9. UPDATE – Bandai Namco Entertainment America has informed us that it indeed is a digital-only release for both North America and Europe.